Tomatoes & Fungi – Growing Great Tomatoes! What’s happening with my tomatoes?! Cultural control practices alone won’t prevent disease during seasons with wet, cool weather. However, the following measures will improve your chances of raising a successful crop. Buy toms that are tagged VFN, or just VF – that’s Verticillium Wilt and Fusarium resistant or tolerant. Varieties that set fruit early, at lower temps, are Early Girl Improved, Fourth of July, Enchantment. Excellent resistant varieties are Champion, Husky Red, Better Boy, Ace Hybrid, Celebrity. Remove volunteer tomatoes and potatoes. If they are a not a resistant or tolerant variety, when they get sick, they increase the chances of your resistant varieties having to fight harder to live, and your good plants may not win the battle. Do not let volunteers grow, even on compost piles, cute as they are. Infected tomato refuse should be put in the trash. **Create a soil barrier, mulch! You can layer newspaper/cardboard covered with mulch or grass clippings. Anything organic, as you wish. One to 2 inches of straw is easy to lay on. You want to create a splash barrier. Seal the soil and you reduce the chances of spores finding your plant. Bottom line, you don’t want your soil to contact your plant. **Avoid wetting foliage when watering, especially in late afternoon and evening. Water at the ground! Watering the leaves creates a humid micro climate; the fungus produces spores. Dry leaves. Dry leaves. Dry leaves. No moisture, no spores. **Air circulation, plant staking and no touching. Air circulation allows the wind to blow through your plants. This allows the timely drying of leaves and it helps break up micro climates. If your plants are packed too tightly together, they themselves become barriers to drying. Staking your plants to poles and using cages helps them grow upright and it creates gaps between the tomato plants. You want to wind and sun to reach through and around your plants. Moisture is needed for fungi to spread. Dry is good. Tomatoes should be planted with enough distance that only minor pruning is needed to keep them from touching each other. **Spray proactively. Wettable sulfur works. It is acceptable as an organic pesticide/fungicide, is a broad spectrum poison, follow the precautions. It creates an environment on the leaves the spores don’t like. The key to spraying with wettable sulfur is to do it weekly BEFORE signs of the disease shows. Other products also help stop the spread. Whatever you select, the key is to spray early and regularly. **When they are about a foot tall, water neighboring plants, but not your toms. That keeps the soil drier near your plant, so the fungi can’t thrive there. 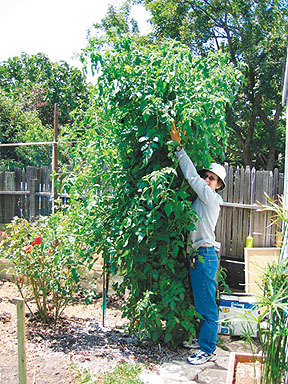 Your tomatoes will get plenty of water from their deeper roots. **Remove bottom leaves, again, no touching (the ground), and prune your plants. Barbara Pleasant at Mother Earth News says, ‘When the lowest leaves are removed just as the first leaf spots appear, you also remove millions (zillions) of spores. 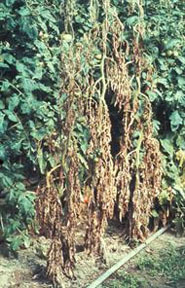 And, because the bases of pruned plants dry quickly, the spread of the disease is slowed because early blight fungi need damp leaves in order to germinate and grow.’ Create an 18 to 24 inch barrier gap or safe space between your garden soil or mulch and the first leaves of the tomato plant. If the spores can’t splash upwards and reach the leaves, they can’t take hold. The stem usually isn’t a place for the spores, though it can be. Best is to remove the bottom leaves before the spores start! If you have large plants, you might consider cutting off some branches to let the sun and wind blow through the main body of your tomato plant. But, some gardeners don’t recommend pruning or snipping the suckers, the mini branches formed between the trunk and branches, because spores can enter through these cuts. If you decide to prune, the less cuts the better. Prune on hot, dry, unwindy days, mid morning to midday, after dew has dried, so cuts can dry and heal with less chance of airborne fungi getting into them. Try not to touch the cuts after they have been made. Use clippers for a clean cut. **Remove infected leaves immediately. A leaf should be completely green. 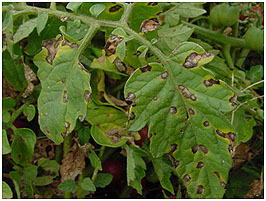 Look for brown spots or yellow spots or distress. Remove leaves and prune when it is dry and sunny, not windy. Wash your tools and hands often. After the tomatoes set, add some nitrogen. A healthy plant tends to fight off the spores. You don’t want to add too much nitrogen to your tomatoes before they set fruit. Too much nitrogen before fruiting leads to more leaves and less fruit. Add N only once. **Rotate your crop if possible. Because fungi also affect other plants, rotation in small gardens isn’t practical or even possible. But if you have the room, move your tomatoes to areas that are fungi free. ****At the end of the season remove, don’t compost, all infected debris and surrounding debris. Pull all the weeds because spores can over winter on weed hosts. You want to reduce the number of spores laying in wait. **The spores aren’t super spores. During our winter season, turn your soil about 10 inches, burying the spores helps remove them, and it also exposes snail eggs to die. Preventive Foliar Mix that does wonders! Water your plants with an aspirin?! Salicylic acid, in aspirin, triggers a defense response in tomatoes and other plants as well! 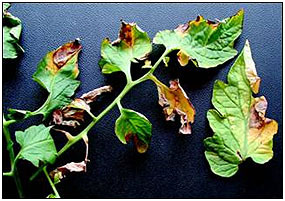 Adapted from eHow: The main benefit of aspirin in planting involves aspirin’s ability to fend off potential plant diseases. Purchase regular strength aspirin. The brand does not matter; purchase the cheapest brand that is available. Mix together one aspirin with one gallon of water. Combine the ingredients well, so that the aspirin is distributed evenly throughout the liquid. Add a dash of mild liquid soap to the mixture. This is used as a way to help the aspirin water stick better to the tomato plants. 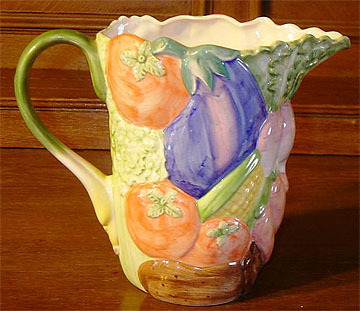 Once the soap is added, attach a spray nozzle to the gallon jug and it is ready to use. Spray the tomatoes when you first set them in the ground. Aspirin sprayed directly on seeds improves germination, on plants it stimulates the growing process. There is no need to soak the area. A light and gentle spray will suffice. Continue to spray the aspirin mixture on the tomato plants every 2 to 3 weeks. You are going to notice that the plants stay healthier and attract fewer insects. Per a comment by Leroy Cheuvront at Heavy Petal blog: I have had the blight and have stopped it from destroying my tomato plants. All you have to do is mix 2 ounces of bleach to a gallon of water and drown the plant from top to bottom, it will not kill the plant. I do it every seven days and the blight has not returned. — June 18, 2010. It sounds scary, but I bet it works! I would test this principle on ONE plant to be sure it is safe to use. Solarization In the past ten years, some enterprising Israelis came up with solarizing. Moist soil is covered with transparent plastic film for four to six/eight weeks in the summer. It takes that long to heat the soil to a temperature and depth that will kill harmful fungi, bacteria, nematodes, weeds, and certain insects in the soil. Solarization can be a useful soil disinfestation method in regions with full sun and high temperatures, but it is not effective where lower temperatures, clouds, or fog limit soil heating. Solarization stimulates the release of nutrients from organic matter present in the soil.